Don’t you love the feeling of having some extra cash to splurge on makeup? Us, too! The best thing about beauty is how much bang you can get for your buck. The drugstore is always filled with affordable and efficient products and subscription beauty services offer a guilt-free surprise on a monthly basis. But Birchbox, the original subscription box, is much more than a package on your doorstep; it’s also an awesome destination for scoring cool exclusives at an awesome value. Birchbox’s latest launch is a collaboration between makeup brand LAQA & Co. and Australian, New York-based artist Kate Shaw. 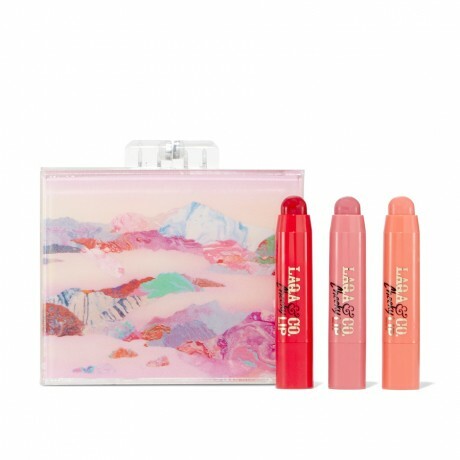 Shaw paints these beautiful landscapes using a technique called “paint pours” and she created an exclusive design to adorn a super cute mini clutch filled with three LAQA & Co.’s multi-tasking Cheeky Lip crayons. The Charm School Kit is seriously the best 20 bucks you will ever spend. The mini box clutch is a sweet little accessory to fit all your essentials for a girl’s night out or simply keep your beauty must-haves in one place (it’s great for stashing hair accessories!). Inside, you get three bite-sized Cheeky Lip crayons in Mixtape (berry), Humblebrag (rose) and Cray-Cray (coral). 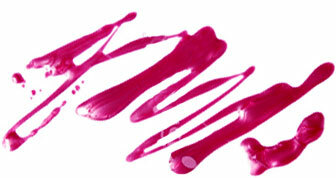 These lip and cheek crayons glide on and blend effortlessly, but leave a matte finish. You can build on the color depending on how sheer or vibrant you want it without feeling like you’ve got too much going on. So why not treat yourself to something sweet and guilt-free to finish off the summer? For $20, it doesn’t get better. The LAQA & Co. Cheeky Lip Charm School Kit is now available at Birchbox.com.